A comedy set locally from the pen of local playwright David Geary. Terry drops out of university and signs up to work for a shearing gang. Romance and hilarity follows. 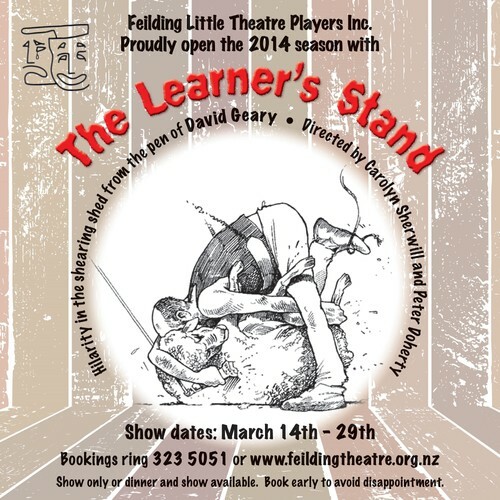 Contact the Feilding Little Theatre on (06) 323 5051 or book now through this website. Sunday is the matinee session, a back country smoko will be served.